Under the theme of “Organizing in the shadow of power,” the 32nd EGOS conference in Naples, Italy, July 7-9, 2016 offered multiple opportunities to consider the conditions under which occupied spaces can be sources of newness. More than 2,400 conference participants from around the world occupied essentially the entire Monte S. Angelo campus of the University of Naples Federico II. And during precisely those same days the fashion giant, Dolce & Gabanna, occupied much of the seafront and the old town–with the help of innumerable police and security guards. The Arts, Design and Organizations (ADO) track of EGOS continued its tradition of connecting to the host city, by visiting two very different cultural centers, one of which started when artists occupied a former monastery. What did we experience, and what can we learn from these various ways of occupying spaces? 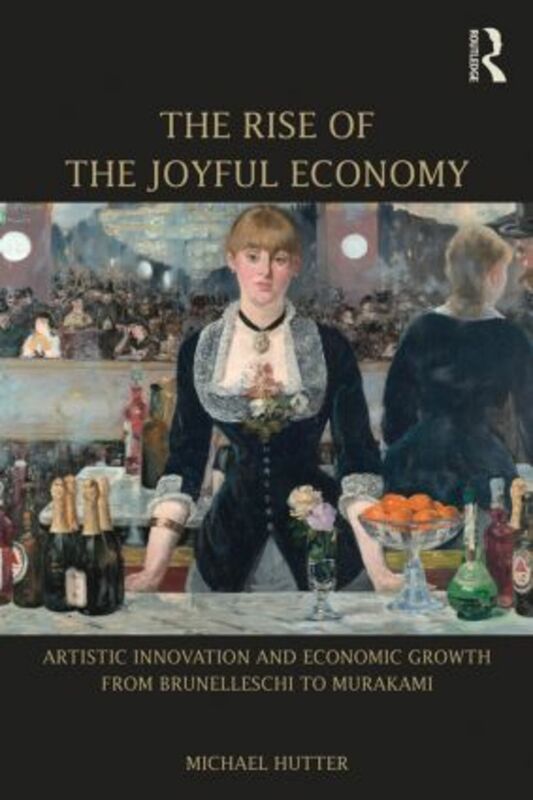 One of Michael Hutter’s new books, The Rise of the Joyful Economy, is appreciated as a source of newness. Here we republish the review Jason Potts wrote in “The Conversation”. The relationship between the art world and the market economy has long been one of Sturm und Drang. Deep down, a battle of weltanschauung plays out between light and dark, sky and earth, imagination and rationality, between two different value systems that still must occupy the same physical, political and moral universe. The great value of modern cultural economics is to have brokered a grand reconciliation between these worlds, with the analytic concepts of market failure and externalities in cultural production and consumption, and the application of non-market valuation techniques to, as it were, price the priceless. The result is a formula to transfer resources from the economy to the arts that is allocatively efficient, maximising the value of both. And while the target of various grumblings from those who would prefer such decisions were determined more historically or politically, rather than economically, there is a rigorous beauty to this way of counting. So it is an interesting development when a preeminent cultural economist (and economic sociologist) publishes a new book of broad historical sweep, arguing that the deep relationship between these two worlds (between the arts and the economy) is not what we have previously thought. The book was the subject of a special, standing-room-only panel at the recent International Conference of Cultural Economists. The Rise of the Joyful Economy, Michael Hutter. Michael Hutter’s The Rise of the Joyful Economy (2015), which focuses on the visual arts, begins in 1420 with the development of linear perspective, and traces how that artistic development played out in the economy of the day, creating surprising new opportunities. He then examines the paintings of conversations, of among others Joseph Wright, Francis Hayman and William Hogarth, and the way this focused a consumer revolution in the emergence of social taste. Moving into the 1950s and 1960s, Hutter traces the translation of artworks into experience goods through case studies of repetition in the modernist architecture of Ludwig Mies van der Rohe (the Seagram building) and in Andy Warhol’s Flowers series. Later in the book he maps these artistic revolutions to three associated periods of economic growth: the period of exploiting cognitive illusion (1430-1860); the period of exploiting social relations (1730-1890); and the period of exploiting serial variations (1920s-present). Hutter then runs the argument the other way, examining artistic responses to economic change. First in the “silent narratives of assertion” in merchant society in the paintings of Flemish artists Petrus Christus (Goldsmith in his Shop, 1449) and Pieter Aertsen (Meat Stall with the Holy family, 1551). Then in the painting of new consumer entertainment of Parisian artists Antoine Watteau (Shop Sign, 1720) and Édouard Manet (Bar at the Folies-Bergère, 1882). And thirdly in the intentional entanglements between high art and high commerce in, for example, Andreas Gursky’s digital photograph 99 Cent (1999) and in Takashi Murakami’s installation Vuitton Shop (2007). These micro-sociological case studies in art history illustrate an overarching idea about the nature of the dynamics in the arts, culture, and the economy. The idea is to conceive of distinct arts and economic worlds, or “plays of value” as Hutter frames it, and to propose a general theory of change that arises from the clash between these worlds. This approach fundamentally recasts the relation between arts and economy by showing them to be statically distinct, but dynamically coupled. Consider what this implies about the dynamics of both the arts world and the economy. In the standard account, growth and change originate from within each world, from the artist and from the entrepreneur respectively. The arts world and the economy are self-contained, linked only by brokered side payments (cultural policy) to generate efficient levels of output. That understanding, in which the different worlds are distinct, is part of the modern consensus and the grand reconciliation between the cultural sector and the market economy. But if Hutter is right, then that understanding is wrong. If dynamics in each world originate from the clashes and irritations between each world (which Hutter both theorises and extensively documents) then we may need to rethink the basic relationships between economic and cultural policy. Yet the book isn’t about policy – a third “play of value”, in Hutter’s terms. It’s about a new type of economy that he seeks to differentiate from such policy fashionable neologisms as knowledge economy, creative industries, or experience economy. Joyful Economy argues for us to redirect our attention away from isolated industry sectors towards the dynamics of tension and resolution, created by interactions between different “logics of worth”. The joy in The Joyful Economy is an answer to the brilliant but pessimistic Hungarian-American economist Tibor Scitovsky, who argued that a growing consumer economy that failed to nurture ever enhanced consumer sophistication in high quality experience goods would plunge society into, as he put it in the title of his 1976 book, a Joyless Economy. Hutter does not fault the logic of Scitovsky’s diagnosis, but finds that Scitovsky failed to understand the deeper co-evolutionary dynamics at play. That difference matters because it is from those outworkings that the Joyful Economy emerges.